Apple’s all-new from the ground up mobile operating system is beautiful and intuitively functional. 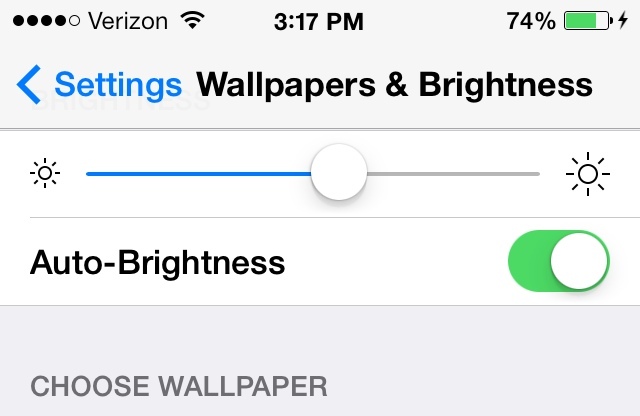 However, all of that iOS 7 eye candy comes at a cost. 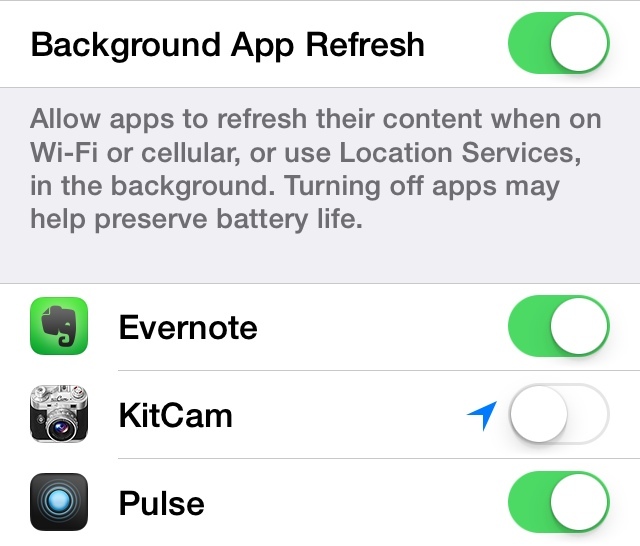 So, if you’ve got the iOS 7 battery blues, here are seven easy to implement tips to keep your iPhone running all day long. 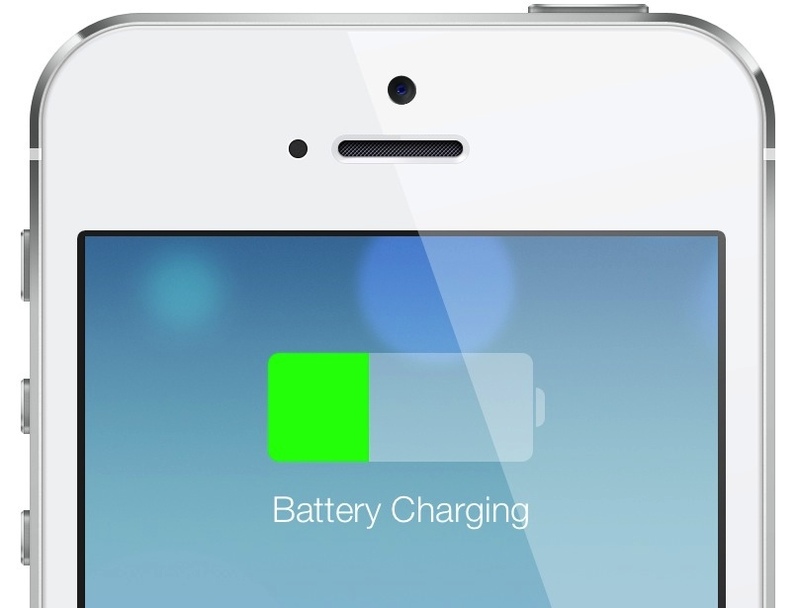 Yes, that means turning things off, but that doesn’t necessarily mean everything — try each of these tips until your iOS 7 battery performance achieves that Goldy Locks blend of longevity and beauty. 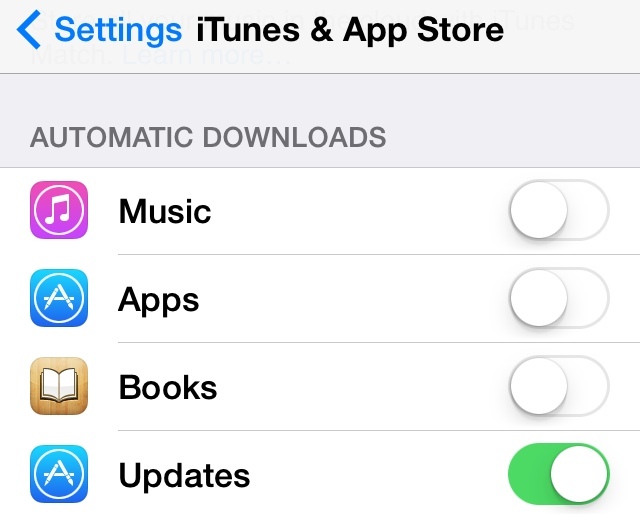 Not all apps use Automatic Downloads the same way. For example, Facebook for iOS 7 is widely reported to be a major battery hog, especially so if you have a kerjillion friends. Apple’s Weather app, not so much. Yes, automagically having new music and videos download to your iPhone is a nice convenience, downloading all of that data can kill your iOS 7 battery and reduce usable storage space to zero in no time at all. 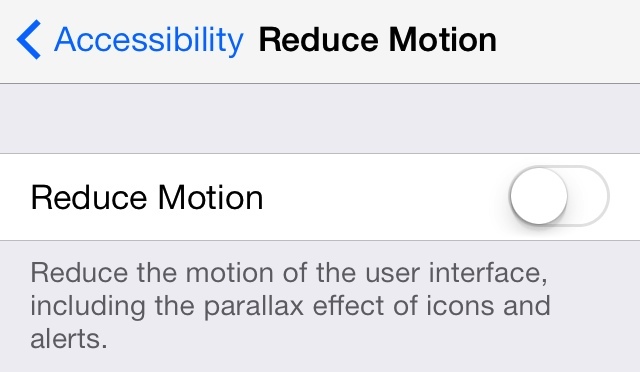 iOS 7 parallax motion isn’t available on all devices. Whereas parallax isn’t available on neither the iPad 2 nor iPhone 4, newer iThings, like the iPad 3 and iPhone 5, do offer this tasty bit o’ eye candy. Fundamentally, although it’s beautiful, parallax really doesn’t add functionality — turn it off. 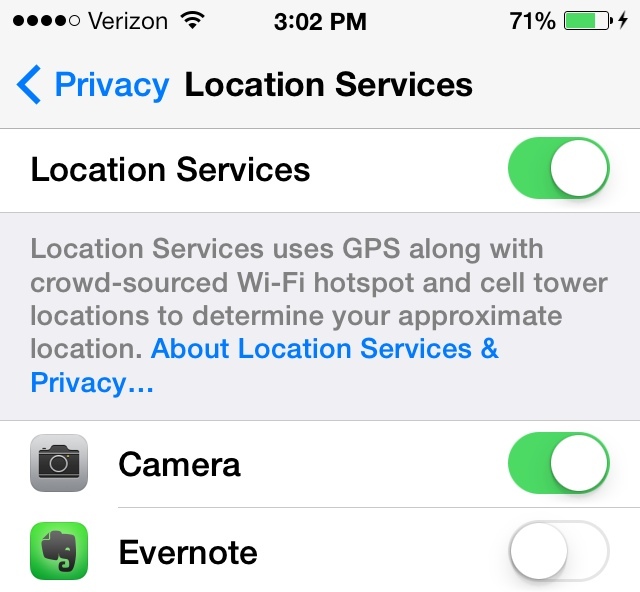 Turn off Location Services and you not only conserve battery, but also boost personal security. Then again, photos really should be geo-tagged. That said, you can save some iOS 7 battery while retaining the good stuff by navigating to Settings > Privacy > Location Services > System Services > Frequent Locations and turning that option off. Yes, they’re very pretty in a sticky sweet way. Still, like Parallax, there’s no functional benefit to using dynamic wallpapers. AirDrop is only available on the iPhone 5, iPhone 5S and iPhone 5C. 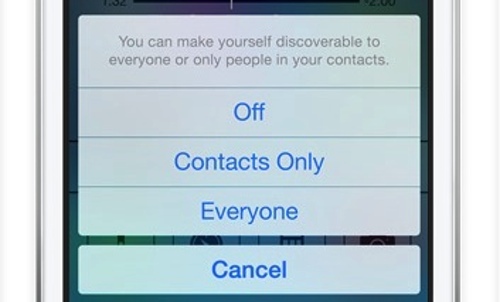 And, given that this feature is accessible via Control Center, you can easily turn it on when needed. 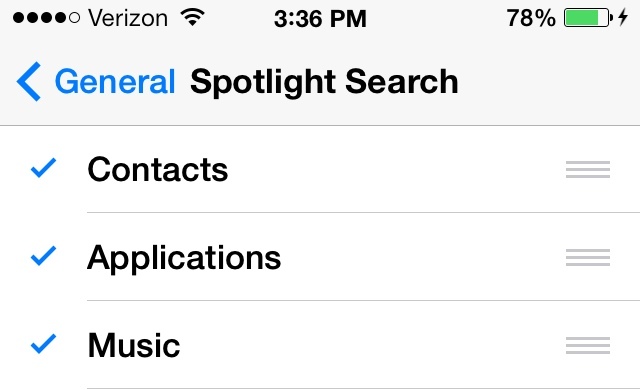 Chances are you either don’t use Spotlight Search or don’t search for the full list of data types indexed by this feature. You can reduce processor cycles and save battery by tweaking which data types get indexed.